Macquarie Media has launched its new three-city radio network Macquarie Sports Radio. 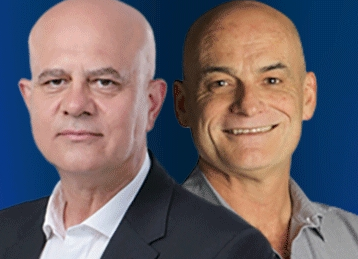 The changes see Sydney 2UE breakfast stalwart Garry Linnell absent from the lineup, with his former co-host John Stanley surviving the changes to co-present with former rugby league footballer and Footy Show panellist Beau Ryan. The new network, which will launch with the Commonwealth Games tomorrow, will replace the broadcaster’s recently axed Talking Lifestyle stations. The network covers Sydney’s 2UE, Melbourne’s 3EE and Brisbane’s 4BH. Linnell – a former editor of The Daily Telegraph in Sydney and ex-director of news for Fairfax Media – hosted the breakfast show with John Stanley since 2013. His last day was on breakfast was this morning although Mumbrella understands Macquarie Media is in talks with Linnell about a new role. The Melbourne show will be hosted by Tony Leonard, Tony Shaw and Jimmy Bartel. Wednesday sees a two week national breakfast show which will run for the duration of the Commonwealth Games. The show is being co-hosted by John Stanley and Tony Leonard, and also includes Beau Ryan. After the end of the Commonwealth Games the network will split breakfast from April 16, with the Sydney-based show also being aired in fellow NRL city Brisbane. A seperate breakfast show will air in Melbourne where the audience prefers AFL. Former SEN radio hosts David Schwartz and Mark Allen will lead national drive. Macquarie Media’s Talking Lifestyle stations featured paid-for lifestyle content and were officially launched in 2016, a year after the Fairfax Media and Macquarie Radio Network merger. However, the lifestyle format failed to deliver sufficient audience or advertiser support. In the first audience survey of this year, Talking Lifestyle posted a 3.4% share in Sydney but in Melbourne its share was just 0.2% and Brisbane’s share was 0.9%. For a time 2UE was one of Sydney’s most successful stations, with shows from John Laws and then Alan Jones pulling in huge audiences. But after the defection of Jones to 2GB 15 years ago, 2UE’s fortunes faded while 2GB began to dominate. Over the years, 2UE rebooted its format several times, including a major relaunch in 2011 when programming boss Peter Brennan said that the fish had “rotted from the head” under the previous management. At the time Brennan said 2UE would chase an 8.5% share and target “generational change” at rival 2GB. The merger of two years ago, which sees Fairfax Media owning the biggest stake in Macquarie Media, made 2GB and 2UE stablemates for the first time. It also brought 3AW, which dominates in Melbourne, into the fold. The Talking Lifestyle format was an attempt to differentiate the talk stations 2UE from 2GB in Sydney. In Melbourne, 3EE has previously been the Magic light music format. But after less than two years, the Talking Lifestyle stations were axed with new Macquarie Media CEO Adam Lang admitting the company had “made mistakes” with the format. “We know that we’ve got clients that are very interested in being engaged with sport and so I think we’ve got plenty of internal lessons to know that we can do this. It’s really about executing a successful sport format,” Lang told Mumbrella last month. However, the format change has created an opposition from some Sydney listeners. Over the weekend, dozens took to the comment thread of a Mumbrella article to protest the changes. In Melbourne, the format faces tough opposition. The leading FM breakfast show, Hot Breakfast on Triple M, is sports-dominated with AFL: expertise from hosts Eddie McGuire, Wil Anderson and Luke Darcy. And in a huge coup at the start of the year, ABC Grandstand stalwart Gerald Whateley joined SEN (Sports Entertainment Network) radio. The first day of the new format included a guest call-in slot for 2GB morning host Ray Hadley, who told listeners of his amusement that he will now be in a rival time slot with his long time friend and colleague David “Thirsty” Morrow. Today, Lang said he was excited to be launching the new radio talk network, which has just been announced as the official AM commercial broadcaster of the Commonwealth Games. Macquarie Sports Radio has also secured the rights to the English Premier League, with three games to be broadcast each week. It has also signed a partnership with global audio partner talkSport. Macquarie Media has also extended its radio broadcast agreement with the Australian Rugby League Commission for an additional five years. “Australians have a long established obsession with sport and we continue to see growth in a variety of sporting endeavours. There are more than 13 million sports fans in Australia. Sport is social, it bonds strangers together and we want to give them a voice and a platform to connect and engage,” Lang said. Monday to Friday in Sydney and Brisbane, Macquarie Sports Radio Breakfast (05:30-09:00 am) will be hosted by John Stanley and Beau Ryan. The Melbourne breakfast show hosted by Tony Leonard, Tony Shaw and Jimmy Bartel. David Schwartz and Mark Allen will head up a national drive program. What about Mark Fine? Wheres he? Beau Ryan as co-host for weekday breakfast? Are they serious? Seriously this is the a worse reformatting decision than when it became “lifestyle” radio.Stanley and Linnell in the morning were the only show worth listening to.Linnell is a loss to radio though he was only there for 4/5 years.I wish him well. Peter Graham on Saturday night was an institution. Macquarie media has done their money here.Listeners won’t go to their other station 2 GB. I can’t imagine where things went wrong… I mean.. who would have ever suspected that listeners wouldn’t be interested in hearing endless, boring, paid content and advertorials out of the Sydney studios networked to Melbourne and Brisbane.. Why it didn’t work – is a mystery. Big mistake! I have deleted the app from my iPad and will remove the station from my car favourites – the last thing I want to listen to at 6am is sports. What have you done? Big mistake guys! Won’t be a 2ue listener any more. No interest whatsoever in sport! Will miss Tim, Shannon and the other home-oriented shows – renovation etc. yeah — ‘cos that’s just what we need. MORE sport. Mumbrella needs to stop giving such prominence to what is happening to the 954AM frequency in Sydney. The station is now little more than a community radio station. This morning they barely mentioned that a man had climbed the Harbour Bridge and caused traffic chaos. From “Where You Don’t Miss A Thing” to “Where You Don’t Know A Thing” in two years. Around the clock sport ??? Snoresville … Hello 702 😁 Will miss those two clowns on breakfast. This statement says it all really..
Only worried about Clients (ie Advertisers) not one mention of listeners..
Talking Lifestyle was unlistenable. Gave the sports thing a go this a.m. Almost as bad. John Stanley, radio’s patron saint of lost causes, tried valiantly to hold the meandering mess together. Beau Ryan? Cringingly awful – about as funny as a fart in a bottle and a voice that belongs in silent movies. I know … it’s only the first day. Will it get better? Doubtful. Poor old 2UE – down and all but out. So what’s Garry Linnell going to do next? 24 hour sports haha , what a joke. I do believe it does not matter anyway – they have taken it’s newsroom ,it’s talent etc the stripping out of 2UE in Sydney was designed to send listeners over to 2GB imo. Now they are just outright pushing any remaining listeners over. Gary and John were such a great show with Stuart Bocking in the mornings .Great shows ,for shame. I listened for about 2 mins and then switched and not going back. Although enjoy the voice of Stanley who I feel quite sorry for to be put in this situation, no I do not want to hear about AFL and cricket fiasco first thing in the morning until midnight. Beau Ryan was just awful. 2UE management, you’ve done a whoopie. This is just going to go down the gurgler. You will lose a lot of listeners. Bring back 2ue John and Garry in the Mornings were the only thing worth listening to and Pete Graham on Saturday nights once it became Lifestyle ! Will not be listening to sport and definitely will not go to 2gb. What a dissapointment!2 UE was OK,had some good segments on gardenning pets,topics of interest etc.Now boring fu..ing sports.Go f..k yourselves twats!Anything for cheap boring listening,hope you sink a..seholes. Have been avid 2UE listener since Sammy Sparrow, had to find another station this morning after 10 minutes, it was so boring, I like to watch sport, not listen to it. So sorry that John and Garry have finished. All the radios in our home were all on 2UE, not anymore. Well, they have lost this loyal listener. I do not want to listen to sports oriented discussion 24/7. If I want that, I will switch my TV onto Fox Sports. This is going to be a mega disaster, as 99% if their female audience will flee. The gutting of the once mighty 2UE is now complete, what a sad, sad thing. Speaking of 2UE, does anyone know where Stuart Bocking is now? He has disappeared into the ether, I have heard nothing about him since he quit as Hadley’s producer in 2016. Such a talkback talent, I am amazed he has not surfaced anywhere. There is already a sports station in Sydney. Called Sky Sports Radio. This will bring the ratings even lower than Talking Lifestyle. There is still 2SM 1269 as the other talking alternative to 2GB. Reminds me of the old 2UE. Thanks, been looking for another station since they wrecked 2ue. Not keen on 2gb. I’ll definitely give 2sm a go! I have only listened to 2UE (since Gary O’Callahan days). John and Garry were fantastic to wake up to. Pete on Saturday nights was great. Unfortunately 2UE have lost me. Not everyone enjoys sport 24/7 (how ridiculous). I listened to the station for about 2 minutes today (on two occasions), that was enough. BORING. I turned to an FM station. They should look at the format of 2GB which is boring and frumpy. Maybe they could make that station the ‘sports wonder’. It seems to me that the hierarchy is ‘groping in the dark’. If it’s ratings they want, who do they ask? Tuned in this morning first day back at work since change, couldn’t believe Garry Linell no more, instead John Stanley trying to battle on with Beau Ryan rattling on about English soccer results at 6.30 in the morning, who gives a #@%&. Good luck with that 2ue, back to the grill team on mmm at least they try to be funny but never will match Linell’s dry wit. I am so disappointed with this change in format. There are limited choices, particularly if you want to gain a balanced view on topics. I love listening to Gary in the morning – he gave real balance and insight into the workings of the media. Also Tim Webster and guests like Shannon Lush. I cannot listen to sport all day. This is no improvement. You are sounding the death knell of this station. I have just come back from overseas and I am totally disappointed with the changes At 2UE!!!! Who needs more sports news 24/7????? Not me !!! Totally repetitive and analyzed to the enth degree – BORING!!!!! Bring back Garry & John!! Turned out completely after too many years!! Garry was a breath of fresh air!! Shame on producers lack of foresight!!! Doomed change!! Yes 2UE you have made a big mistake with making the station 24/7 sport. You must think we are still with days without TV. Why would someone listen to sport on radio when they can turn on TV and SEE the game? You have made a lot of lives miserable especially those who listen to radio to learn something, hear opinions, have a laugh. When you stayed up late enough some nights you realize the value of talkback to those who live alone, elderly, shift workers, those who want to have someone to talk to. There were many regular callers. Lifestyle might had struggled with ratings but you had some great shows and presenters. John and Garry were breath of fresh air from the miserable crowd at the other stations who spit in the microphones. How about Dr Ross, Clinton, George and Paul, Pete Graham. Lifestyle didn’t work as well as the previous format as you had sponsors so some days you were forever listen to travel, travel and more travel due to sponsorship. You also took away great presenters just as soon as they settled in, swapping every few months. But even then it was worth listening to and I kept it on. You just had to make some minor changes, not like change it entirely to sport. Sadly I can no longer keep it on as sport is what makes me cringe the most. So sorry and angered what you have done to 2UE. From what was once a great radio station, it has become one to avoid. They also had two great presenters of Friday afternoon in the likes of John ‘Roothy’ Rooth and Rob Smith aka The Duck with the Roothy’s Australia radio show, always encouraging people to get out and visit this great country of ours. Especially the country towns with their ‘Pub-crawl’ segment. Where have roothy etc gone to?. My sentiments EXACTLY!! Such a shame. Is this 24/7 sport “talk” for real? That’s a lot of talk but talking what? It’s much more than a lot. Sounds like a whole load. or even what bloody game they play! 2ue should transmit “George” the talking clock. At the third stroke…(time call)….beep-beep-beep. May be just as boring but much more useful. Why would one listen to. Sport continuously especially with unknown commentators. To change 954 completely is a dumb move . To. Eradicate majority of terrific personalities is a crime. Like many others I want Garry Linnell and John Stanley back in their breakfast Format not this garbage that is being dished out. I am bitterly disappointed with 2UE – I was a loyal listener since Sammy Sparrow days and enjoyed Talking Lifestyle – so many interesting segments and well known presenters. I am particularly going to miss a Pete Graham (hopefully some other station will snap him up) and now there is nothing to listen to from 6.00 am – 9.00 am on weekends since they shifted George and Paul to 9.00 am on 2GB ….. I am not interested in sports talk and I don’t want to listen to the garden show on 2GB. What are the management thinking? I thought I would try 2SM but have unsuccessfully tried to get the 2SM app on my iPhone – not sure what I’ll do now! Maybe listen to my music!!! Like a lot of other former 2UE listeners I too have been a long term listener since Sammy Sparrow days. No sport for me, will follow George and Paul to 2GB but that’s all. Will miss all the other presenters. Looks like I will have to go to 702 or listen to my own music. Most Sydney radio nowadays is totally boring. The confidence with which management hawk this next metamorphosis echoes the same bluster with which they assured us that we would love lifestyle radio. The management have no imagination , no conviction , and no skill or talent in radio . Went round the AM dial this weekend evening , rugby league, rugby league , rugby league . Such mindless devotion to a dying game. But there’s 2UE ,running behind the bus picking the lowest hanging fruit. Human beings like security, not constant redesign the second a ratings result takes a dip . Commit to something , support it , the listeners will listen . Your job is so much harder now , people won’t attach themselves to this latest offering as they know it won’t survive next time management gets the jitters. 2 years from now , some talentless unknown will spin the wheel and choose a new format . Silent radio perhaps , couldn’t be worse than the status quo. The new sports format is abysmal. From what i have heard the first few mornings, it wont be around for too long. Management definitely made the wrong decision in cutting gary linnell and keeping john stanley. Stanley is the laziest and least informed broadcaster i have ever heard. Gary carried the john and gary show with his wit and allround knowldge and humour. All stanley contributed was “i dont know”, “i dont know”, “i dont know”. Or “lets get an ologist on the phone” after which garry would interview the person. A real shame. Completely out of touch with listening public – I tried it (new breakfast format) today, and lasted 2 mins. From now on it’s 702 or FM music; sport 24/7 on radio dumb, just dumb! I last commented when Macquarie went ‘talking lifestyle’ it was only a matter of time until that terrible format imploded! The same will happen with this latest foray in 24 hour sport. Big opportunity for a new talk back station with a sprinkle of music. Beau Ryan??? What a joke!!! How could Macquarie Media even consider removing Gary Linnel from the morning show. 6 of my friends now have turned to other stations following that bad decision. It has become a dull station. Enough sport, Beau Ryan what a joke !! 2UE you have lost me Beu Ryan on prime time radio seriously! Another one who has left 2ue, and will not be going to 2GB as i do not like the morning host during the week. I enjoyed John Stanley and Mark Riddlell but you have lost me now with John not there. It seems you will be just making use of John as it suits you without giving him a permanent program. What a waste that is after all the years of service he has given radio.